Are You Capable of Functioning Outside of Your Mental Comfort Zone? In the aftermath of any collapse or disaster, our decision-making processes are going to be tested to their limits, and many of the choices we will face, will be unpalatable. 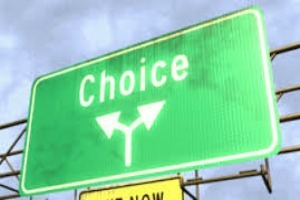 Every day of our lives, we face choices. Decisions of varying degrees of importance blight or enhance our days depending on what those decisions are about. In the aftermath of any collapse or disaster, our decision-making processes are going to be tested to their limits, and many of the choices we will face will be unpalatable. This is one aspect of survival and preparedness that’s difficult to plan for. We think we would do anything it takes to ensure the survival of our families, but in reality making the right choices to ensure survival will be a difficult and tortuous task for most of us and an impossible task for some. Oddly it may be some of the seemingly smaller tasks that could defeat us. Pulling the trigger when aiming at a faceless target advancing on your home, weapon drawn, may come instinctively and therefore relatively easily. Raiding your elderly neighbors home for supplies after they have passed on may not. The latter is far more personal than the former and for many people, this will cause them a good deal of angst. Turning away strangers asking for food may be relatively easy…but what if it’s a family that you know from the schoolyard, would that make a difference? There are far too many possible scenarios that can present themselves to us in the aftermath of any national or global disaster for us to assume we will be able to deal simply and easily with the choices we have to make. Maintaining our normal levels of honesty, integrity and decency will not always be possible and acknowledging this is critical if we are to make it out the other side. It may be that someone in your family or survival group has an issue with doing something that you could accomplish without hesitation and vice versa. Don’t wait until you have to find out who is capable of what. Talk to the adults and older children in the family or group, discuss what situations you would not cope with easily. Finding out the weaknesses and strengths of the group before you need to know is essential and should form part of your overall preparedness plan. Mindset is something that could make the difference between survival and death, don’t leave it to chance.